Northwest Missouri State University’s Sigma Kappa members showing the efforts of their product drive — FANTASTIC WORK, ladies!! 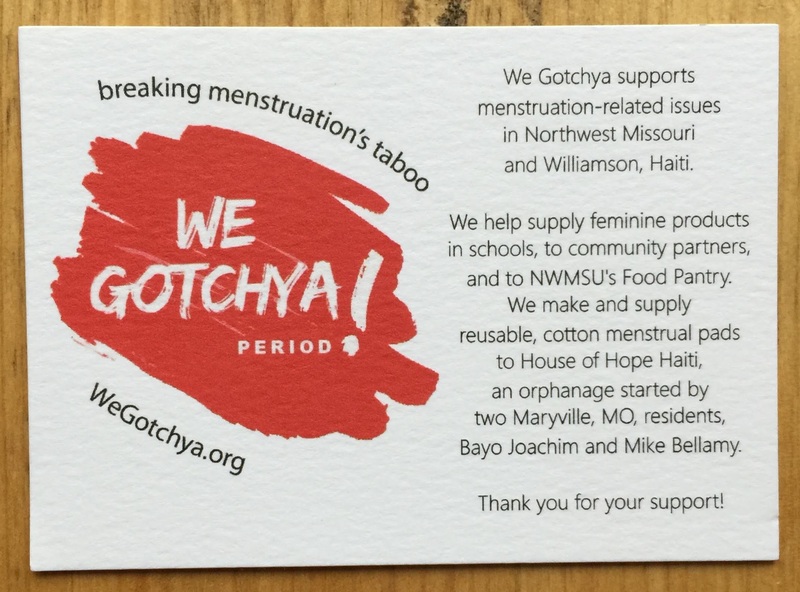 Sigma Kappa, a Northwest Missouri State University sorority, “adopted” the We Gotchya baskets this month, filling them to the brim with tampons pads and liners. We think this is the perfect way for women to support women. We all know that the old feminine product machines rarely work, and even if they do, who has a quarter with them these days? 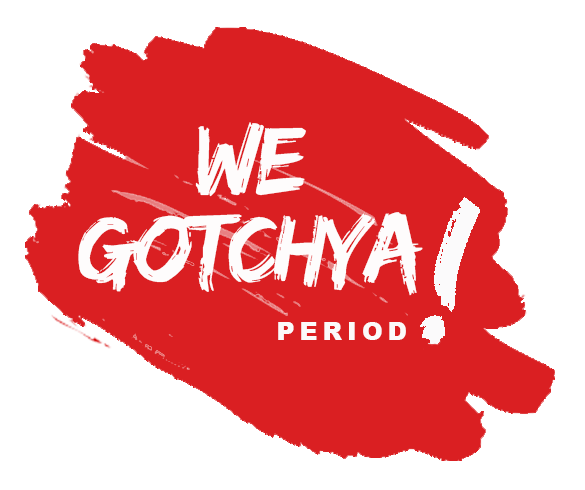 The We Gotchya product baskets are intended to be a “take one, leave one” method of supporting one another. And, Sigma Kappa proved that in spades with their support! Check out all of the product in these photos — baskets across campus were filled to the brim! Notice that Sigma Kappa made signs to indicate their “sponsorship” of the baskets. We highly encourage this approach — let others know about your efforts and that you, too, have our backs! Thank you, ladies of Sigma Kappa! This project completely aligns with your mission! Maryville’s Hy-Vee hosted a benefit dinner for us on Wednesday, March 20, featuring “Breakfast for Dinner”. Proceeds from the 3-hour special dinner are being donated to our efforts. Of course, we can’t express how excited we are to have the support of Hy-Vee, and especially catering manager Sara Tompkins, who made it all happen. Hy-Vee also put some feminine products on sale, $1 for small packs of tampons. That made for a perfect last-minute donation by customers. We had a cash donation box handed out information cards. This was our first big “outing” and we’re hopeful our efforts will help spread the word in the community as we develop our mission and identify community partners. We’ll have a “That Time of the Month” Dinner once a month (of course!) on Wednesdays. If you’re in the neighborhood, come and see us! Northwest Missouri State University senior Molly Gardner is a legislative intern in Jefferson City, Missouri, during the Spring term. She’s covering a number of state issues, but in this student television interview, Molly explains the Missouri Pink Tax initiatives related to taxing feminine products. The interview mentions the role of We Gotchya on campus. See the interview and read more about the Missouri Pink Tax here. Part of the We Gotchya Cuttin’ Crew at Saturday’s meeting. At yesterday’s meeting, we did a LOT! 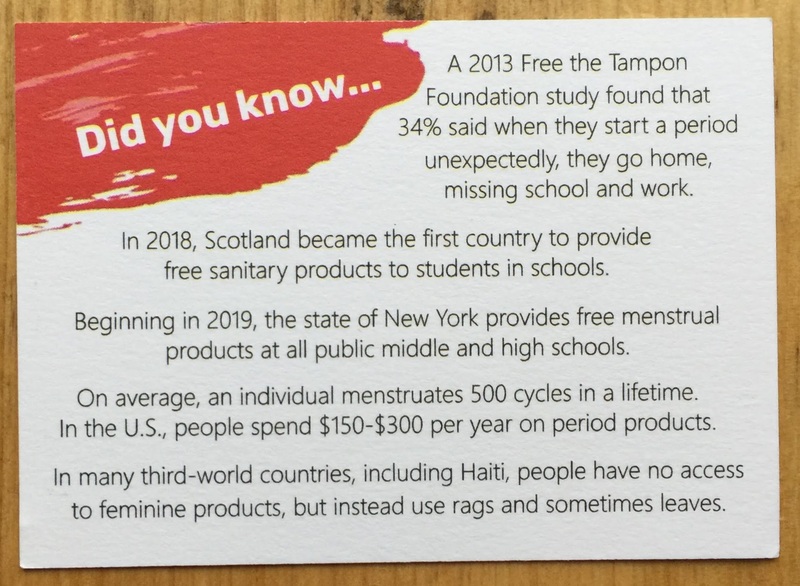 In addition to outlining three big fundraisers and product drives, we cut out dozens and dozens of pieces of future menstrual pad inserts to send to House of Hope Haiti. See the entire HOH story here. Thuy Copeland and Patty Holley admire Patty’s skilful work at making wet/dry bags for the girls in Haiti. The feminine product shelf of Northwest’s Food Pantry. On Tuesday, Feb. 5, We Gotchya was presented with a $100 donation from Maryville’s philanthropic group, Today’s Civic Women. We can’t express how grateful we are for not only the monetary donation, but mostly the support for our group. TCW’s purpose is: To promote community and individual development and fellowship among its members. It supports causes such as Toys for Tots, Camp Quality, and Relay for Life. It’s an honor to be supported by such an established, community-focused group. On Feb. 15, we stocked the Food Pantry at Northwest Missouri State University with a supply of tampons, pads and pantyliners and topped off baskets in the Union, Library and Administration Building. Since adding new signs to the baskets, we believe we’re seeing more participation in filling baskets. This change is significant, as it will allow We Gotchya to focus monetary and product efforts on supplying the Food Pantry, helping women at House of Hope Haiti, and supply other Maryville social services, which is our long-term goal. Information about Maryville’s Today’s Civic Women can be found at this Nodaway News volunteer page and also at the group’s Facebook page. In Designation area, click “Other” then write in “We Gotchya”.